At Hinshaw & Vanisko, our goal is to provide you with the experienced and honest legal representation you need for any legal situation you may find yourself in. Whether for a business, real estate, estate planning, employment law, or family issue, you can expect Hinshaw & Vanisko to have the skill and knowledge you need for your legal situation. When you retain our legal services, we will work with you in a personal and intimate manner, providing you the individual attention you deserve. We are a small, professional firm that believes in providing all our clients with thorough and sincere representation, and will do our utmost to zealously provide you with all the legal assistance you require. We are dedicated to obtaining the best possible outcome for each and every one of our clients and will work diligently to that end. If you find yourself in need of a legal professional, you can feel confident that we at Hinshaw Law Firm will work as strong advocates on your behalf. We serve all of Helena, Montana, and the surrounding area. Hinshaw & Vanisko, PLLC. 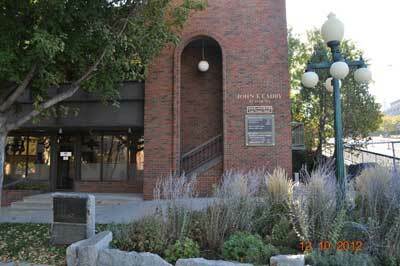 is located in Helena, MT and serves clients in and around Helena, Marysville, Fort Harrison and Lewis And Clark County.